117 Voted!Click Here To Vote For This Firm! Click Here To Vote For This Firm! 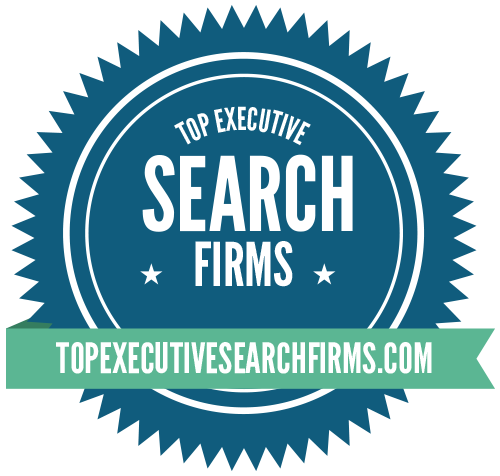 As one of the first executive search firms in the U.S., Heidrick & Struggles has provided expert executive search services since 1953. Their methods are based on a thorough understanding of each client’s strategic, financial, and operational issues. Heidrick moved up one spot on the list to #4 this year. A storied brand in the executive search business, Heidrick went through a period of reorganization and consolidation in recent times shrinking from well over 100 locations down to 51. However the appointment of Tracy Wolstencroft (former Goldman Sachs executive) as president and CEO in 2014 has buoyed the firm, which seems to have found its way back from the abyss and has returned to solid footing once again. 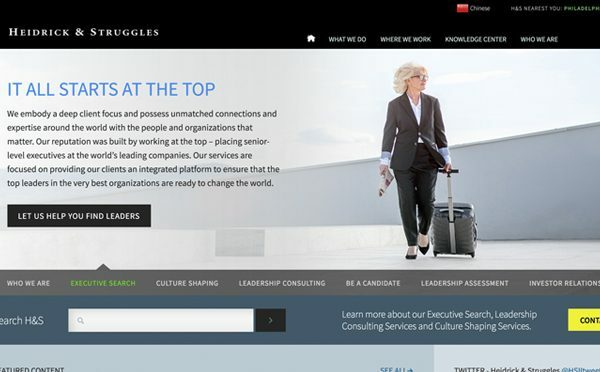 Tracy Wolstencroft is the president and chief executive officer at Heidrick & Struggles. He was named to this position and joined the firm’s board of directors in February 2014. Previously, he was a longstanding partner at Goldman Sachs where, over the course of a 25-year career, he led a wide range of businesses in the United States, Asia, and Latin America. His experience includes investment banking services, environmental markets, Latin America, public sector and infrastructure banking, and fixed income capital markets. While living in Asia from 1998 to 2002, Tracy served as president of GS Singapore, co-head of Investment Banking in Japan, head of Asia Financial Institutions, and a leader in developing Goldman Sachs’ strategy in China. Tracy serves on a number of not-for-profit boards, including: co-chair of the IRC (International Rescue Committee), vice-chair of the National Geographic Society, and a trustee at the Brookings Institution. He is a member of the Council on Foreign Relations. Tracy earned his BA from Bowdoin College. West Virginia Coal & Coke Corporation, Northern Trust, Continental Can, Google, Eastman Kodak, Goodyear Tire & Rubber, Westinghouse Electric, and others.